Child custody and child support are the most important, and often the most hotly contested issues that must be decided in a divorce. They also affect unmarried couples who have had a child together. And these matters frequently return to court when one or both parents seek a modification of a child support or custody order. The Connecticut child support attorneys at Volman Law work with clients to achieve a child custody plan that serves the best interests of the children by protecting the parental rights of the client. The child custody agreement you reach is vitally important to your child’s security and well being. Even if your family chooses shared custody it is still essential to have a clear child custody agreement that spells out arrangements for holidays, birthdays, and summer breaks. The more specific the language in the child custody agreement, the less likely it is that there will be problems later. We know and care about children. David G. Volman has been a guardian ad litem and court-appointed lawyer for children in the courts. He understands how difficult the legal process can be for children. He has years of experience helping couples work together to find agreement. Contact our Shelton, Connecticut family law office or call (203) 929-7771 to schedule a free initial consultation. You may have divorced your ex-spouse, but you still must deal with the parent of your child. It’s important to build or protect a positive working relationship with that person throughout the process of reaching a custody and visitation agreement. If the process results in anger, hurt, and alienation, you may face years of struggle with the other parent, often with your children stuck in the middle. At Volman Law, we offer our clients the option of mediation to reach a satisfactory child custody agreement. Mediation has many advantages over court. In Connecticut, child support is based on a statewide guideline. Medical costs and child care costs are considered, as well as health insurance and college expenses. In Connecticut, the court can order either spouse to pay college costs equal to the amount of tuition at an in-state college and to continue child support until the child is 23. Alimony awarded to a custodial parent will impact the amount of child support the parent receives, so it’s important to consider these two expenses together and to examine the tax consequences when the divorce settlement agreement is being decided. 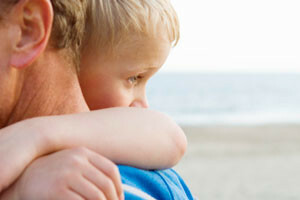 Our Connecticut child support attorneys will explain the formula and how it is likely to apply in your situation. If your child has specific needs, the formula can be changed to take those into consideration. If you or your spouse experiences a significant change in circumstance-loss of job, illness, promotion-you can go back to court to request a modification of child support. For answers to your questions about child custody and child support, contact our family law office. Your initial consultation is always free, and we participate in several legal payment plans. We also accept Visa, MasterCard, Discover and American Express.